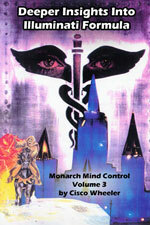 Volume 3 Manual - Deeper Insights Into Monarch Formula Programming Mind Control This item is on sale. Volume three of the Monarch series by Cisco Wheeler presents more in-depth and detailed insights into trauma based mind control as well as methods for deprogramming and therapy. Once again the mind reels when reading the details about the cold hearted cruelty and methodology of the programming and at the complexity of the mind control system itself. Fortunately, the clear distinctions between alters, mirrors, and demons (as well as many other aspects of the system) can be seen when one understands how the system is set up. This volume in particular shows the differences by explaining all aspects of the system and it also shows some basic types of therapy that can be used to help lead victims out of their inner worlds. The therapy section of this book (part two) contains information that had not been explained in the first two volumes and is of tantamount importance here. It is not enough to just know about something, one must also know what to do about it. There are many tips for deprogramming here and things to watch for that could hinder a victims therapy for years and be potentially dangerous if not properly understood. The mental picture that could be formulated about this type of mind control is that trying to deprogram a system without proper insight and instruction would be like going into battle against a tank armed with only a shotgun. This is vital information for anyone even attempting to help and I cannot imagine that anyone who reads these books could turn away -- especially if they discovered, as did I, that this type of mind control had been victimized by people they once knew. Mind control is more prevalent than most of us realize and has been used on people from all walks of life, as well as on people in areas many of us may not have not formerly considered to be so highly infiltrated (like the entertainment industry). Mind control could have happened or could still be happening to people that you know as well. Reading these books will show you what to look for. Once you see it you may find it hard, if not impossible, to look at the world the same way again. The horrors described in these books are real, the victims and the programmers are real and we can either learn to live in denial or we can step forward and address the challenge and assist in any way possible. 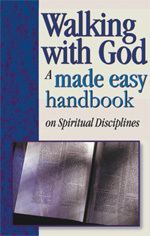 Walking with God: A Made Easy Handbook on Spiritual Disciplines - Hardcover Classic This item is on sale. HR Learn the motives and methods behind Christian prayer. This book features helps and tips on the mechanics of prayer, and includes an enlightening study of The Lord's Prayer. Helpful charts and vivid illustrations transform learning what the Bible teaches about prayer into an understandable and enjoyable experience for even the newest Christian. A variety of methods for beginning a daily program of devotions are introduced, emphasizing the importance of spending time by ones self in prayer, reading, meditating on the scriptures, and listening to music. 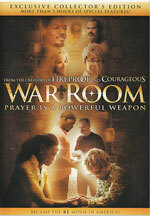 War Room DVD: Prayer Is A Powerful Weapon This item is on sale. Filled with heart, humor, and wit, 'War Room' follows Tony and Elizabeth, a couple who seemingly have it all---good jobs, a beautiful daughter, and their dream home. But their appearances are deceiving: Tony relishes in his professional success and flirts with temptation, while Elizabeth resigns herself to increasing bitterness. Their marriage is on the verge of crumbling until their lives take an unexpected turn. When Elizabeth meets Miss Clara, she challenges Elizabeth to create a battle plan of prayer for her family by establishing a 'war room'. This new film from the Kendrick brothers is a vivid reminder that prayer is powerful weapon. 'War Room' is a terrific movie, gripping and inspiring! It has that dynamic mix of good acting, an interesting storyline, and humor tossed in at the right moments. , which is simply an Eastern Mystical counterfeit to true prayer. This movie does not show Contemplative Prayer, but just old- fashioned verbal prayer on your knees in a private closet. While this movie is well done and emotionally uplifting, we warn against following Priscilla Shirer in her other endeavors in the Emergent Church Movement. Wheeler Three Volumes of Illuminati Monarch Programming Mind Control - Digital Version On One CD This item is on sale. Volume 1 is entitled, 'They Know Not What They Do' explains and exposes the methodologies and horrors of Monarch trauma- based mind control. In this book we see a series of colored collages and explanations which describe the inner worlds of mind control victim. Volume 2, entitled, 'Illuminati Forumla To Create Undetectable Mind Control Slave' explains in detail how the Monarch trauma based mind control system is set-up and layered into a victim. Volume 3, entitled, 'Deeper Insights Into Illuminati Formula', presents more in-depth and detailed insights into trauma based mind control as well as methods for deprogramming and therapy. Total number of pages if you bought these three as books is 1,302 pages! Wheeler Three Volumes of Illuminati Monarch Programming Mind Control Manuals This item is on sale. Training Manual Volumes 1, 2 and 3, for a very special price, saving $250.50 over buying all three separately. Cisco Wheeler's father was a high-level Illuminist Wizard, and put Cisco through this entire Mind Control training. Later, Cisco would train others. These three volumes are THE definitive explanation of Illuminati Mind Control, and will answer many of your questions as to what is possible with individuals and with entire populations. After reading these volumes you will see how Biblical prophecy about the entire population rushing to worship and serve Antichrist, as foretold in the Book of Revelation will be fulfilled. Total number of pages in these three volumes is 1,302 pages! 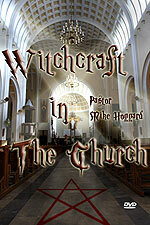 Witchcraft In The Church - DVD by Pastor Mike Hoggard This item is on sale. 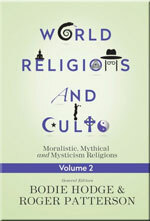 World Religions and Cults: Moralistic, Mythical and Mysticism Religions, Vol. 2 - by Bodie Hodge, Roger Patterson This item is on sale. This eye-opening second volume deals with many Eastern religions like Hinduism, Taoism, New Age, Sikhism, Confucianism, Shinto, and Buddhism, as well as other pagan-based systems like Witchcraft, Voodoo, and Greek mythology (and many more)! What it truly is that these religions teach. Followers should be set at ease knowing that all other gods are false as the All-Knowing God of Scripture has proven He is the only God. Therefore, this volume digs into these styles of religions, and looks at their origins and their basic tenets as well as why they fall so short. Understanding the basic tenets of these religions helps the Bible believer see the flaws in these religions / philosophies. In this way one can better discern how to be an effective witness for Jesus Christ while standing on the Absolute Authority of the Bible.